Creating a backup is the safest option to keep our important data protected from wrong hands. Similarly, we can create backup our Outlook profiles, accounts and personal settings. Users of Outlook rely on it for most of the communications, schedules, and contacts management. Hence, users understand how important it is to have all these data stored safely. The blog will be discussing the way to create the backup of Outlook settings. Backup of Outlook settings involves export of the key from our registry and then import it to new system. User needs to re-enter the password of the Outlook account on the new computer. In earlier versions of MS Office, Save My Settings Wizard was present that can be used for creating backup of the settings but can only be used to restore it to the same machine. Since the wizard was not Outlook specific, it did not support restore to another version of Office & was removed in Office 2007. 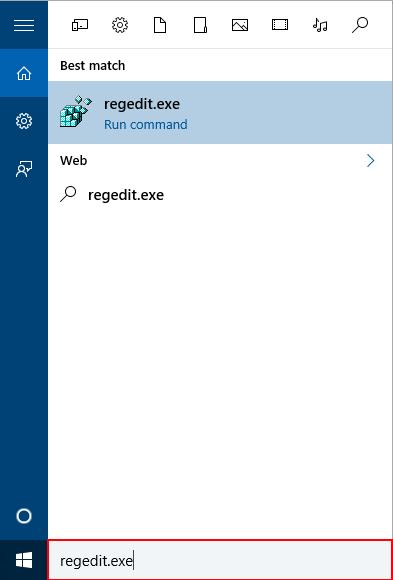 To open Registry Editor, go to Start and type "regedit" on the search box and press "Enter". 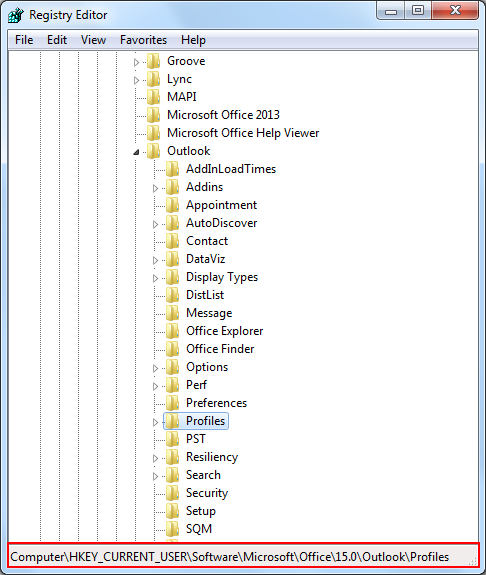 Go to "Profiles" under Outlook Folder and "right-click" to "Export". Select the "destination location" to save the exported registry key file and write a "filename" for the exported registry key file and Press 'Save'. After backup is done, we can use the exported Profiles registry key file to restore the Outlook account settings in the new system. 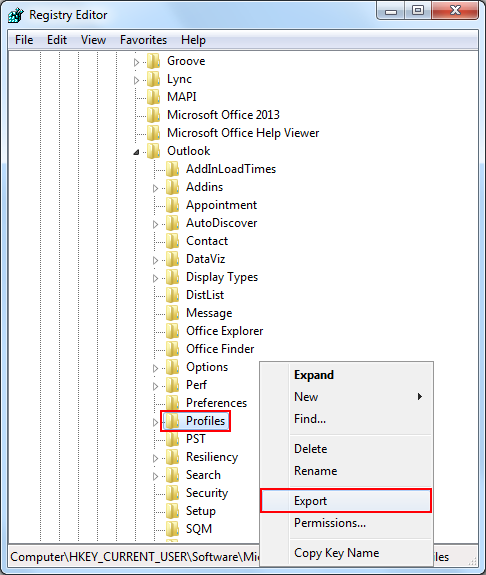 Go to the location where the Profiles registry key is saved and double-click on it to import Outlook account settings inside the registry. 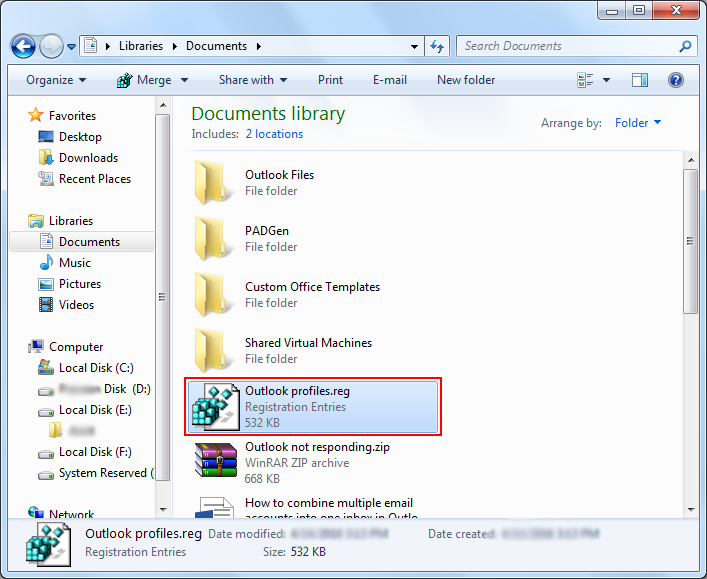 A pop up window asking for permission to make changes in registry editor will be displayed. Click on 'Yes' to User Account Control prompt window. Launch the Outlook and user will need to re-enter the password of the Outlook account. All the Outlook account settings will be restored in the new system. The Blog has been aimed to make users understand the importance of backup to avoid loss of data. 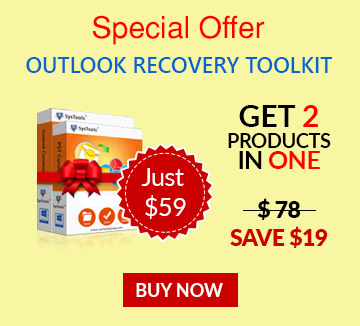 It has defined a way to create the backup of the Outlook settings. Outlook Account settings can be backup by exporting their registry key from a system and restore by importing the exported registry key to the new system.